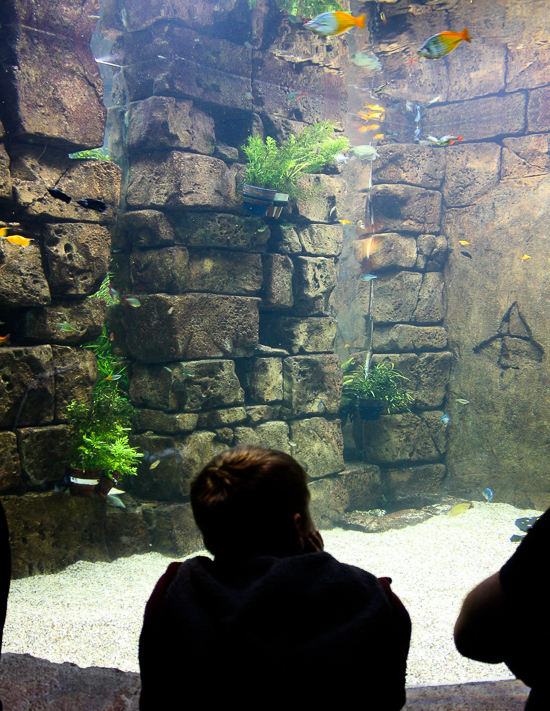 Being a wildlife park you're not going to just sit in a long queue with little to look at with Manta. 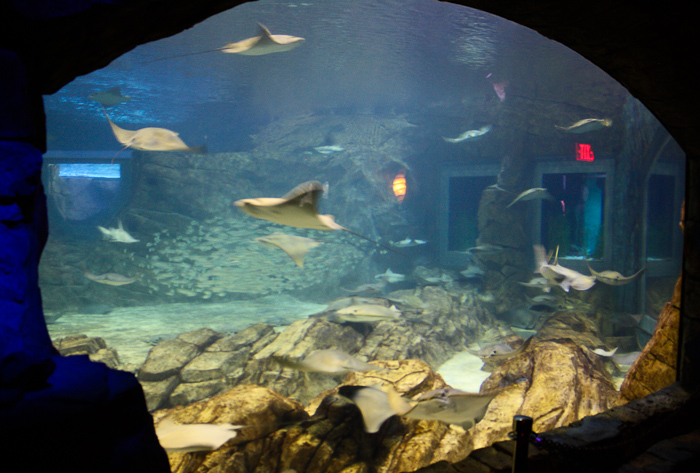 Manta's queue is a walk through series of aquariums filled with what else...mantas. It is not so bad when you have a little wait because watching the mantas gliding around in the tanks really captivating. Ok enough sea life for now...it is time for some wild life. 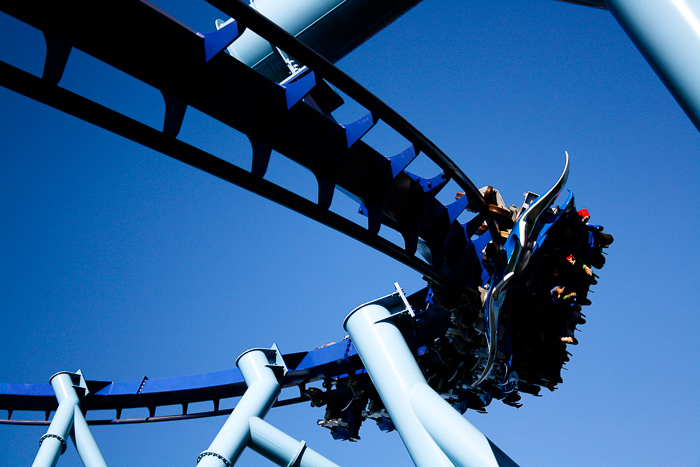 Manta is the newest of Sea World's three coasters when it opened in 2009. 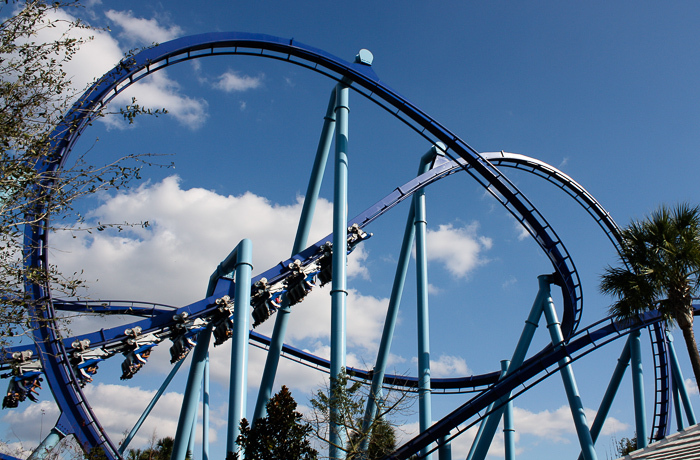 Like the rest of B&M's "Flying Coasters" Manta's first drop is a shallow spiraling descent. 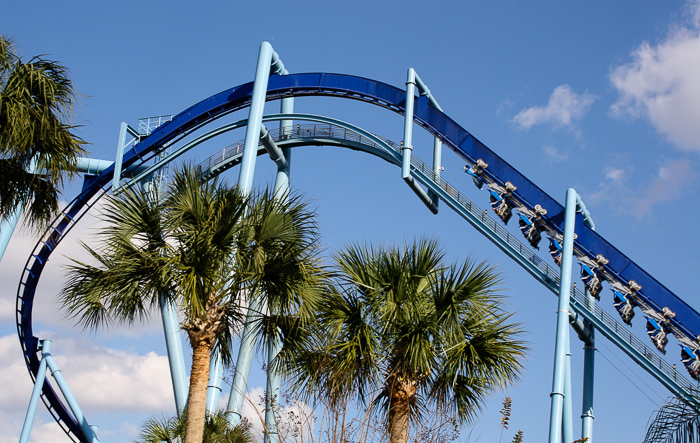 With a 113 foot drop Manta has the longest first drop on any of their flyers. 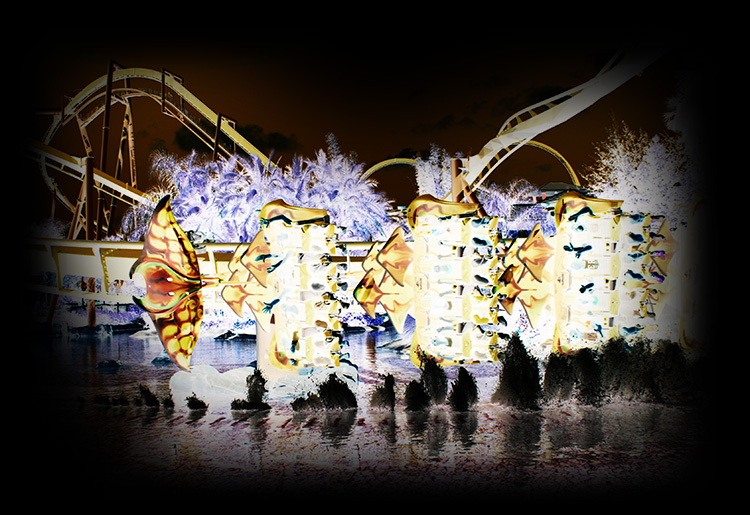 The best part of any of B&M's flying coasters are their "pretzel loops" where you get wicked airtime and half a second later some of the most intense positive g forces you'll experience on a coaster.